Utayba Mohammad, Nizar Al-Holou, “Development of An Automotive Communication Benchmark”, Ca- nadian Journal on Electrical and Electronic Engineering, Vol. 1 No. 5, August 2010, pp. 99-115. A. Szmatula, M. Parrish, M. Krishnan, M. Paulik, U. Mohammad, and C. Luo, “Navigating a path deline- ated by colored flags: an approach for a 2011 IGVC requirement,” presented at the Society of Photo- Optical Instrumentation Engineers (SPIE) Conference Series, 2012, vol. 8301, p. 33. Mahmoud Haidar, Utayba Mohamad, Nizar Al-Holou, Mark Paulik “Service-Oriented Architecture for Inter-Vehicle Communication,” Canadian Journal on Multimedia and Wireless Networks, Vol. 1, No. 4, August 2010, pp. 55-74. Khaldoun Albarazi, Utayba Mohammad, Nizar Al-Holou, “Doppler Shift Impact on Vehicular Ad-hoc Net- work” Canadian Journal on Multimedia and Wireless Networks, Vol. 2, No. 3, August 2011, pp. 46-56. M. Arafat, U. Mohammad, N. Al-Holou, Ph.D., M. A. Tamer, and M. Abdul-Hak, “Developing a Simulation Platform for Intelligent Transportation Systems Applications Based on Connected Vehicles,” 27th Interna- tional Conference on Computers and Their Applications, March 12-14, 2012, Las Vegas, Nevada. M. Arafat, U. Mohammad, N. Al-Holou, Ph.D., M. A. Tamer, and M. Abdul-Hak, “Adaptive Traffic Light Controlling Methodology Under Connected Vehicles Concepts,” WORLDCOMP'12, Proceedings of the 2012 International Conference on Information and Knowledge Engineering (IKE'12), July 15-20, 2012, Las Vegas, Nevada, PP. 25-33. Kevin Daimi, Nizar Al-Holou, Utayba Mohammad “An Interdisciplinary Minor in Computer and Network Security,” WORLDCOMP'10, Proceedings of the 2010 International conference on security and manage- ment, SAM2010, Vol. II, July 12-15, 2010, Las Vegas, Nevada. pp. 505-510. Utayba Mohammad, Nizar Al-Holou, Cristian Balas, “Performance Evaluation of IEEE 802.15.4/ ZigBee Protocol for Automotive Applications" SAE World congress, 2008-01-0278, 2008, In-Vehicle Networks and Software, SP-2197, pp. 69-74. Utayba Mohammad, Nizar Al-Holou, “Development of Wireless Protocols for Automotive Applications,” Proceedings of the 2007 International Conference on Wireless Networks (ICWN'07), Las Vegas, Nevada, June 25-28, 2007. Utayba Mohammad, Nizar Al-Holou, Rami Baroody, “Improving Safety in the Next Generation Vehicle Network (NGVN)”. SAE convergence 2006, October 16-18, 2006, Detroit, Michigan (Invited Paper). Rami Baroody, Nizar Al-Holou, Utayba Mohammad, "Reliable Dynamic Discovery Service Based JINI for the Next Generation Vehicle Network," Transactions of SAE, Journal of Passenger Cars-Electronic and Elec- trical Systems, V115-7 � 2006-01-1470, pp. 659-666. 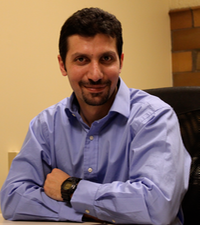 Rami Baroody, Nizar Al-Holou, Utayba Mohammad, "Reliable Dynamic Discovery Service Based JINI for the Next Generation Vehicle Network," SAE World congress, Paper# 2006-01-1329, 2006, pp. 227-234, (Selected for Publication at the Transactions of SAE, Journal of Passenger Cars-Electronic and Electrical Systems).